I read a book! (I really need to do that more often.) And, I liked it a lot. It was a wonderful young adult novel called Serafina and the Black Cloak by Robert Beatty. 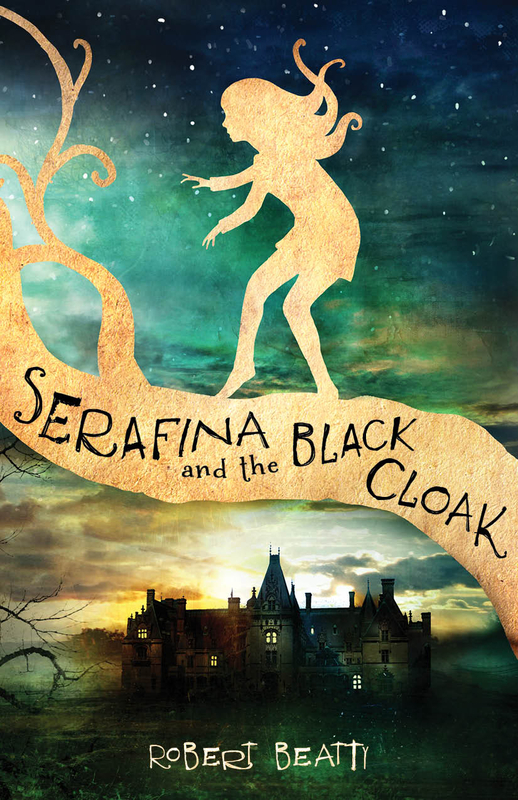 Okay, well technically, the book is described as a middle-grade “spooky mystery-thriller.” Despite the middle-grade descriptor, I found Serafina and the Black Cloak to be a fun, whimsical tale of an unusual young girl named (you guessed it) Serafina who for some reason lives in secret in the basement of the Biltmore Mansion in Ashville, NC. Her father has hidden her presence from the world, and she only goes out in secret at nighttime to explore the mansion and catch rats. One night, she witnesses something supernatural, and from then on, her life is changed. It’s up to her to stop an evil that is spreading through the manor as it also leads her to uncover her own origins. I loved this book and the story. I read it in within a day, which is rare for me, especially nowadays, even with books that are easy reads like this one. The story had a nice, quick pace, but never felt rushed. The author succeeded in the most important part of any story: making us care about the characters. While reading the book, I felt what Serafina felt and I cared about whether or not she a) found out the truth about herself and b) was able to defeat the book’s antagonist. I admit that I did guess the major reveal at some point in the middle of the book, but when it actually happened, I was satisfied. One other thing that helped a lot? My familiarity with the Biltmore itself. Even though I haven’t ever been there, I love their wine! But in all seriousness, being able to Google search for a map of the grounds because I knew it was a real place, written about by someone who is very familiar with the area and estate, helped get me more invested in the story. If you are like me and are into fantasy young adult books, then I definitely recommend Serafina and the Black Cloak. It’s an easy read and a fun story. I already pre-ordered the next book in the series, Serafina and the Twisted Staff and am looking forward to reading it this summer. If you have already read this book, let me know in the comments! I’d love to discuss it. You can buy Serafina and the Black Cloak on Amazon. This entry was posted in Books and tagged Robert beatty, Serafina and the black cloak, the Biltmore. Bookmark the permalink.